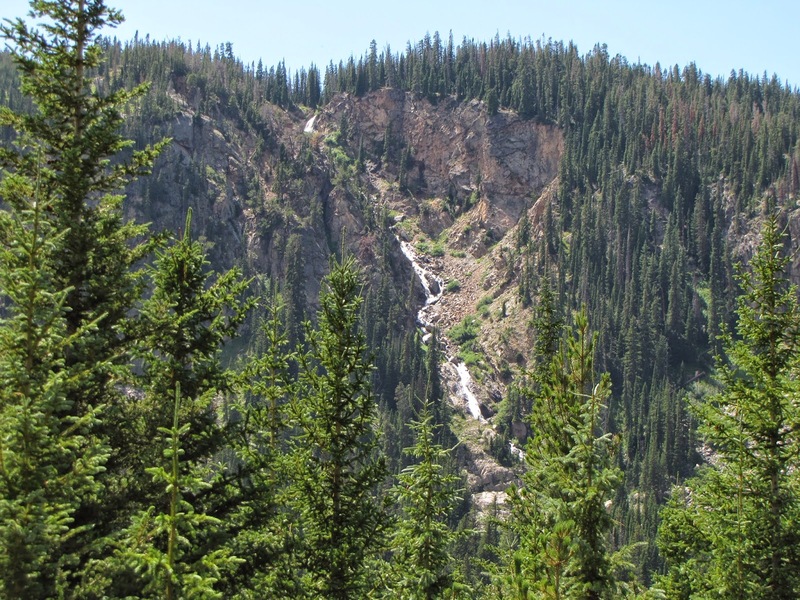 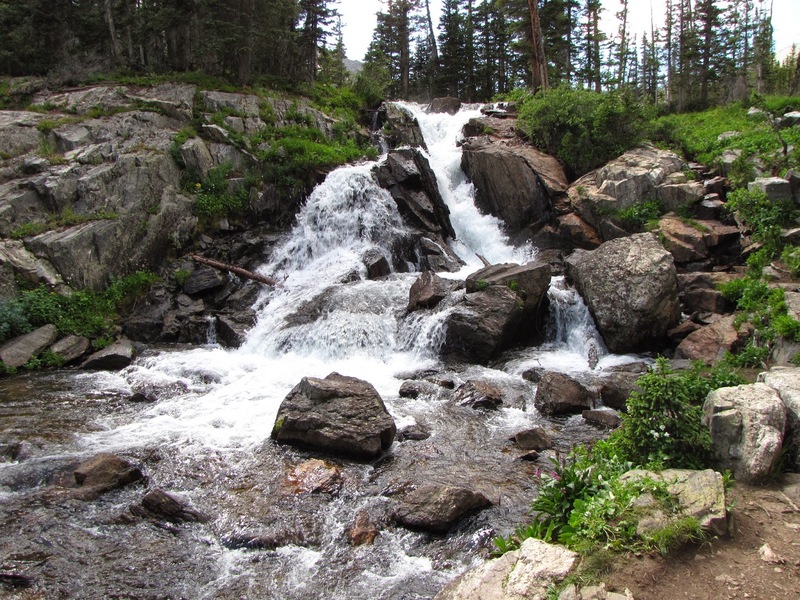 Directions: This trail starts at the Fourth of July Trailhead past the town of Eldora. 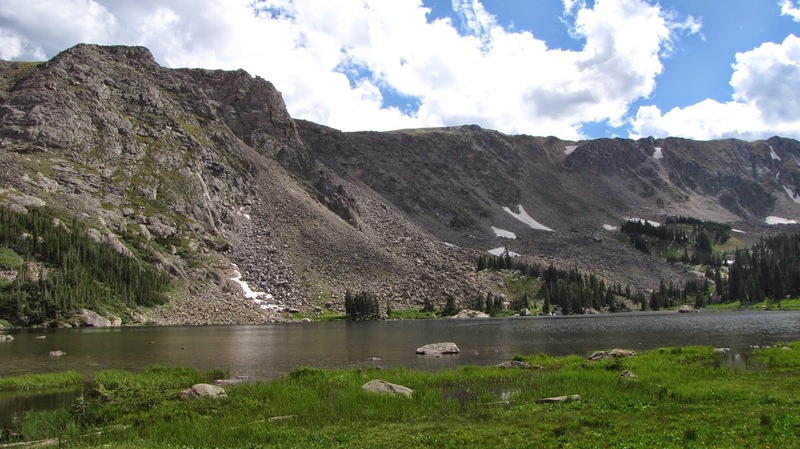 From Boulder, take 119, Boulder Canyon Drive, to Nederland. 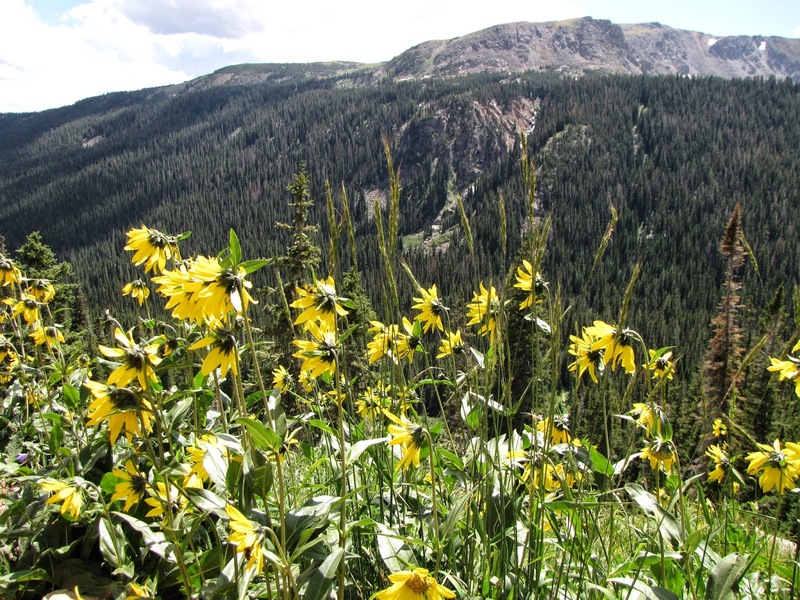 Head South on the Peak to Peak Highway (72) and turn west on County Rd 130 towards Eldora Ski Resort. 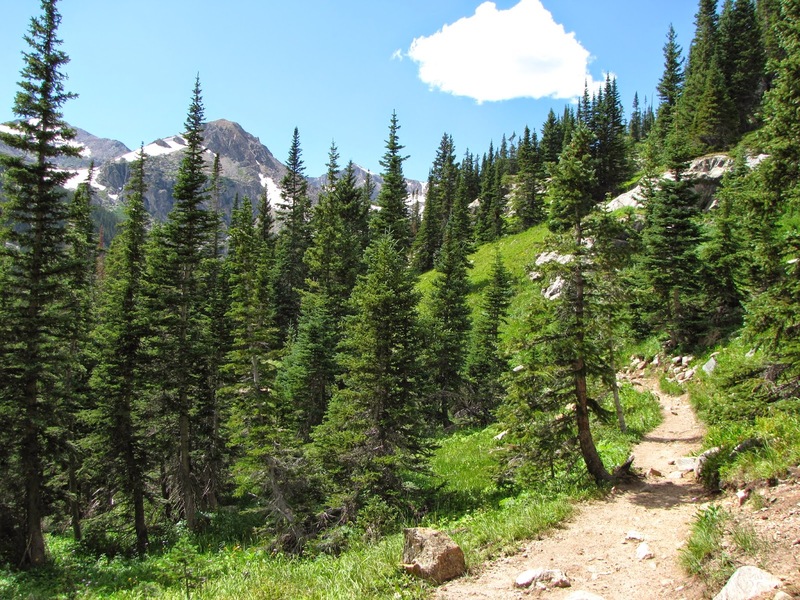 Once you pass Eldora and the pavement ends, the road becomes a bit rougher. 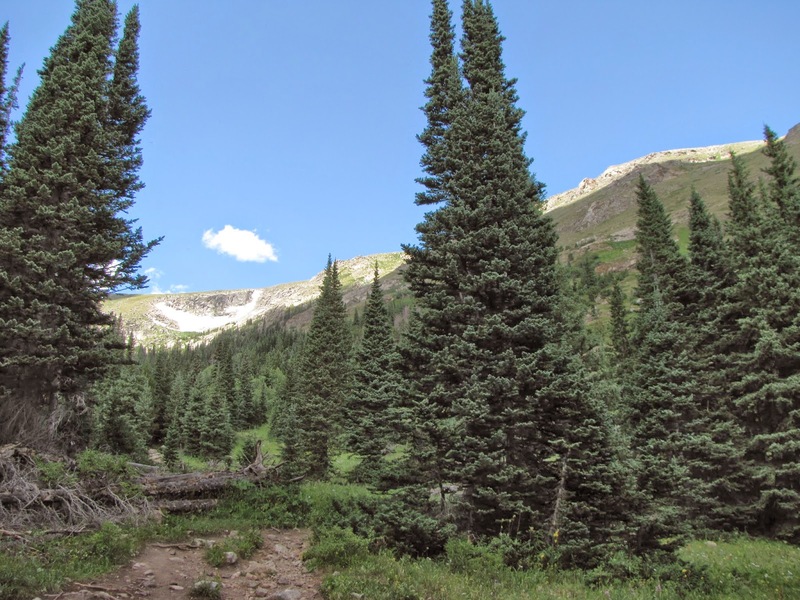 Take the dirt road for 5 miles to the trailhead. 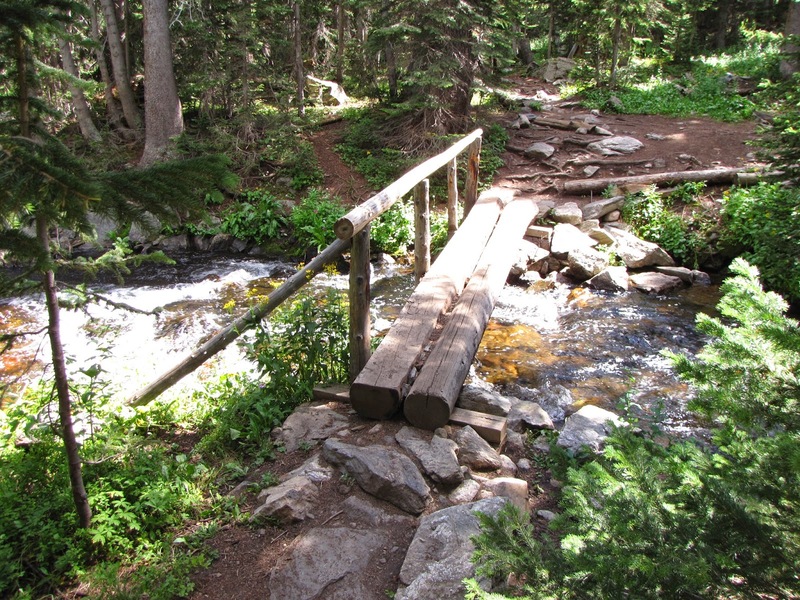 This road is narrow and rocky but does not require a high clearance 4WD, although some high clearance vehicle is recommended. 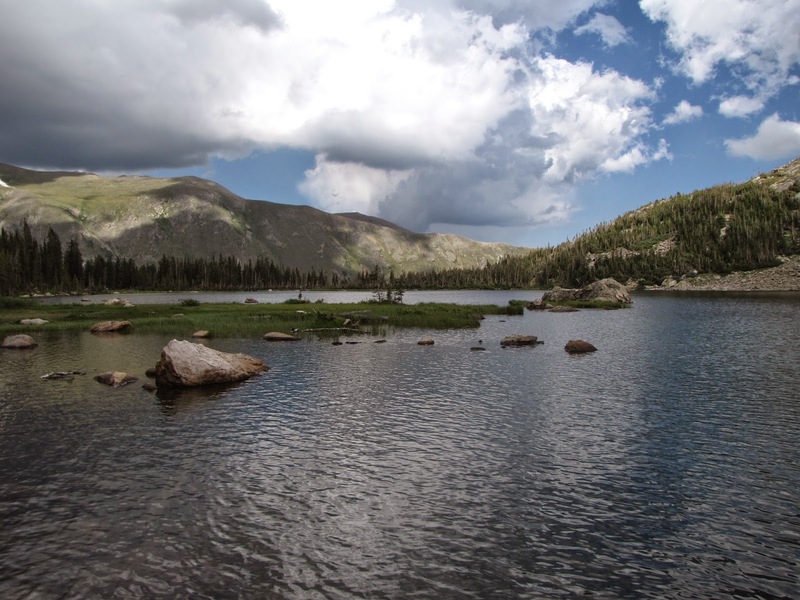 From the trailhead follow the Arapaho Pass trail for 1.2 miles to the Diamond Lake trail junction. 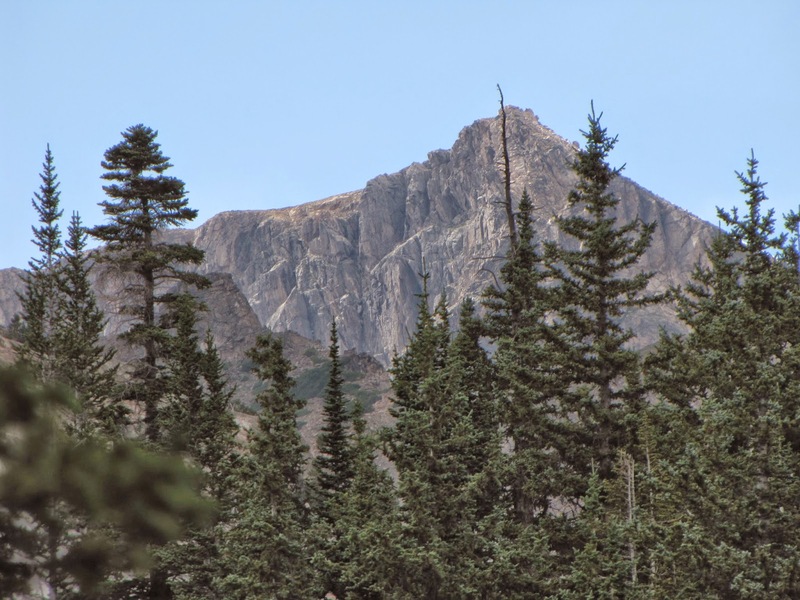 The trail meanders through the forest and opens up frequently for majestic views of the Indian Peaks in the near distance. 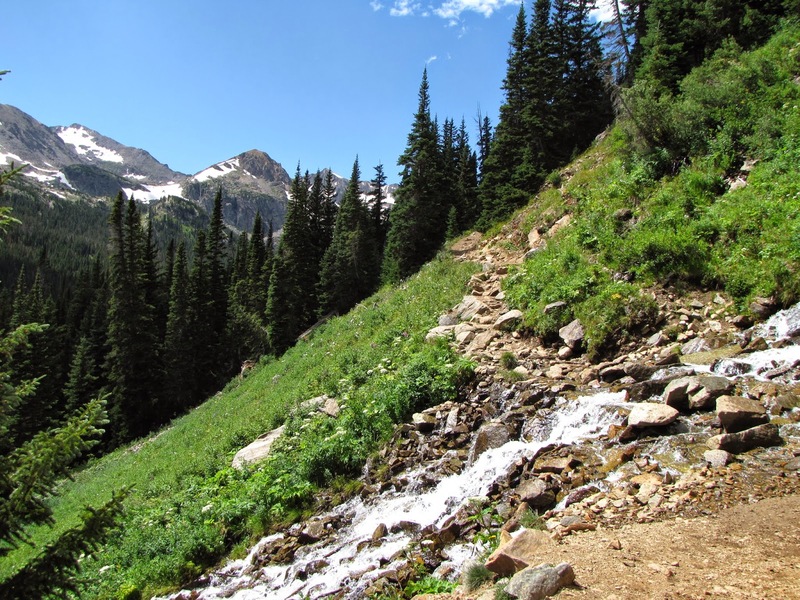 Before you even get to the Diamond Lake Trail, you are rewarded with wildflowers, creek crossings, and tumbling cascades. 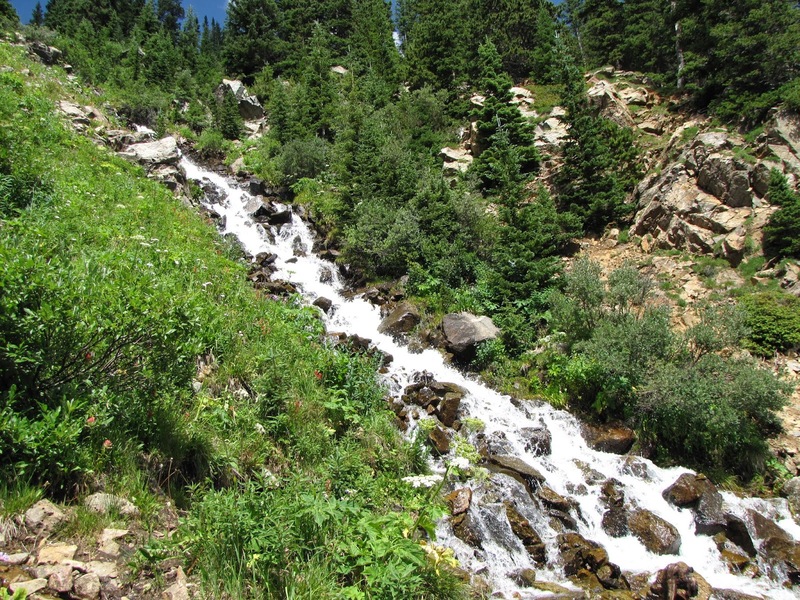 At the Diamond Lake trail, drop down .5 mi to a creek crossing with a wonderful waterfall off to the right. 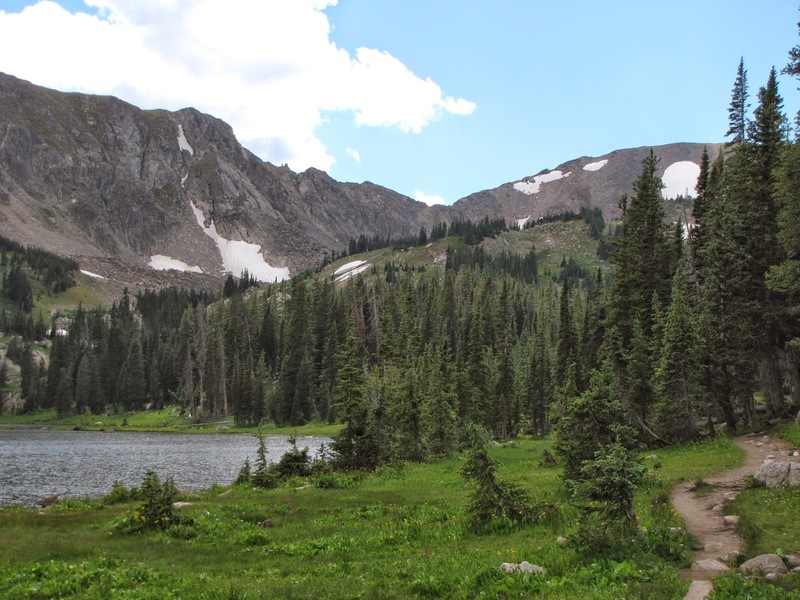 Head back uphill switchbacking up for another mile to reach Diamond Lake. 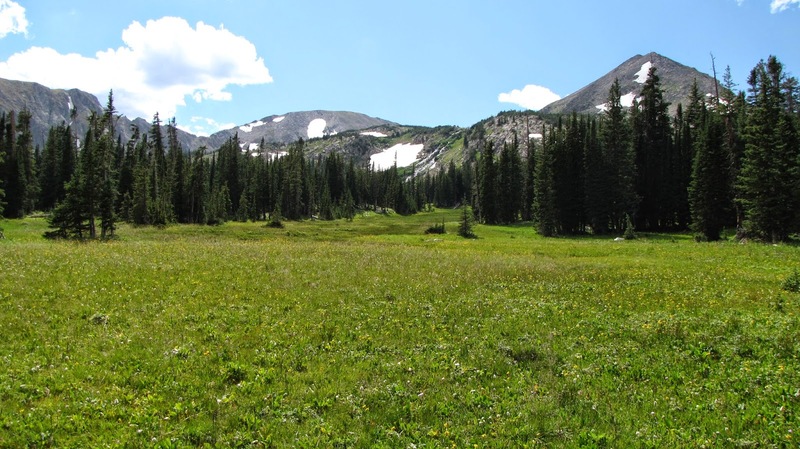 Just before the lake the trail opens up to an expansive meadow surrounded by peaks. 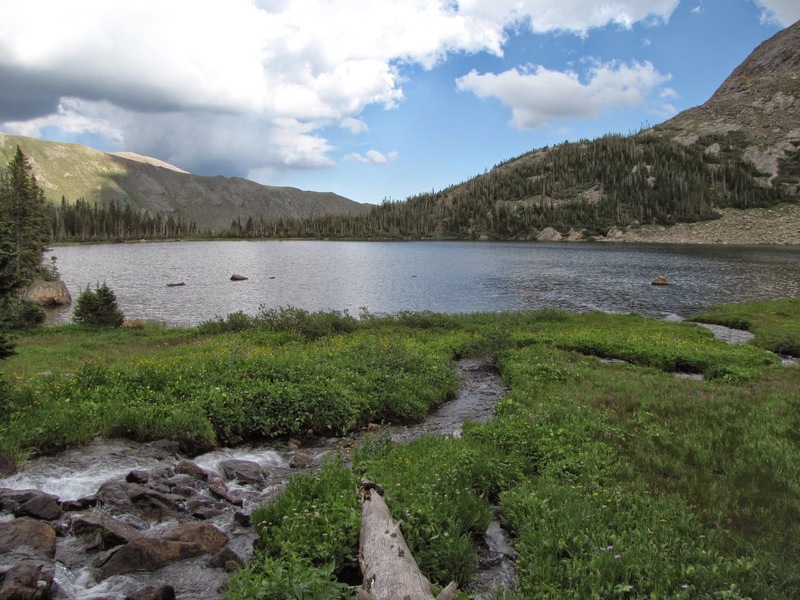 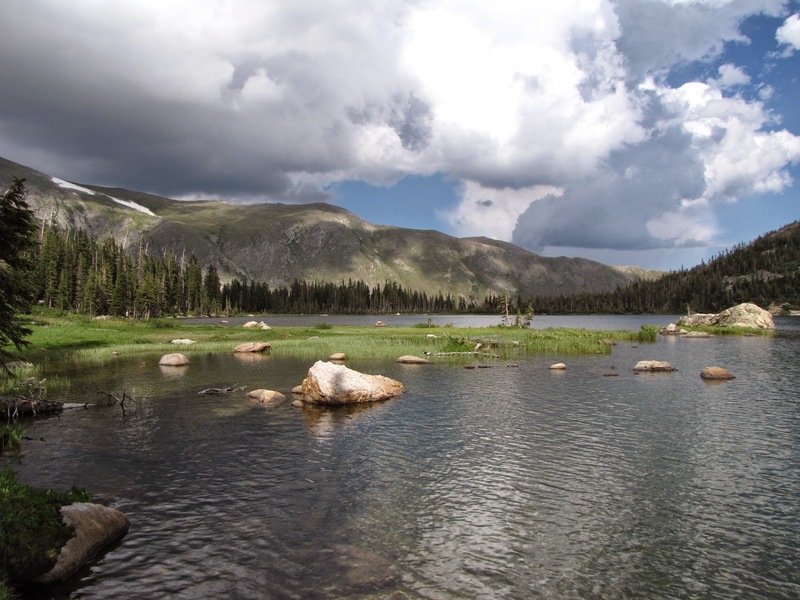 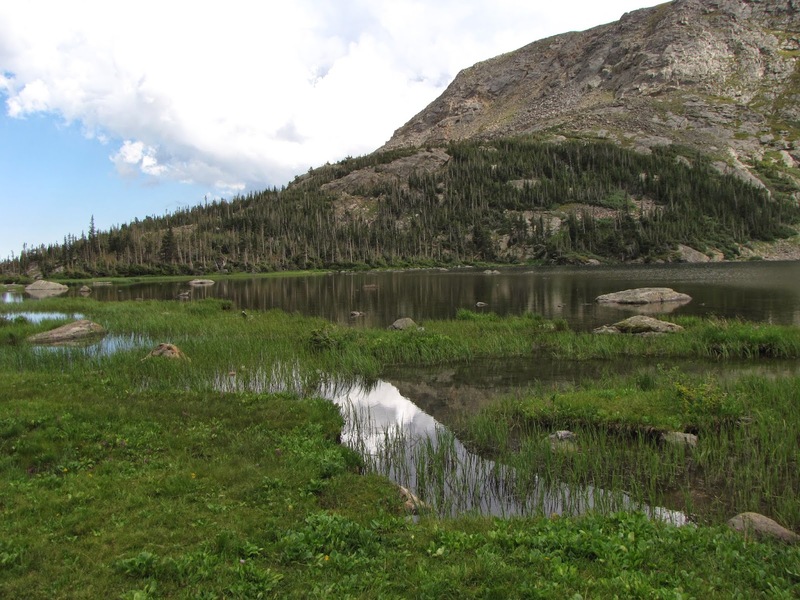 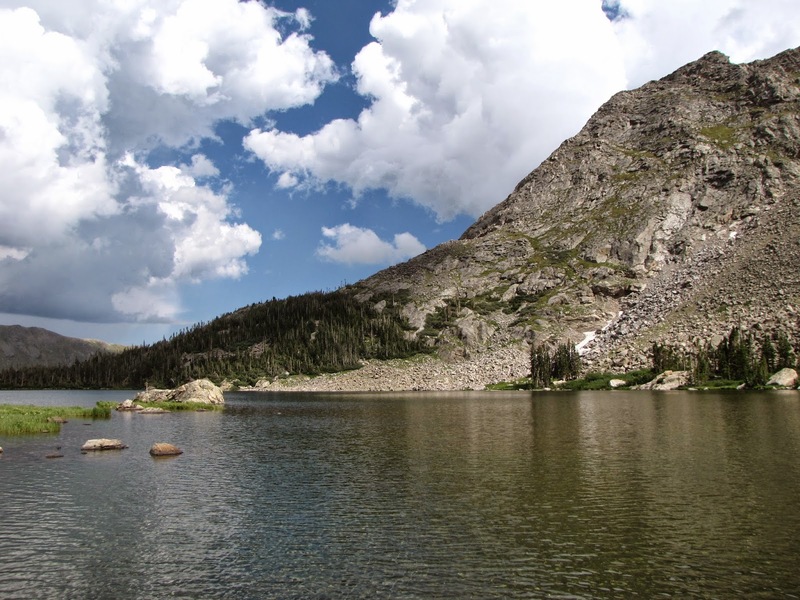 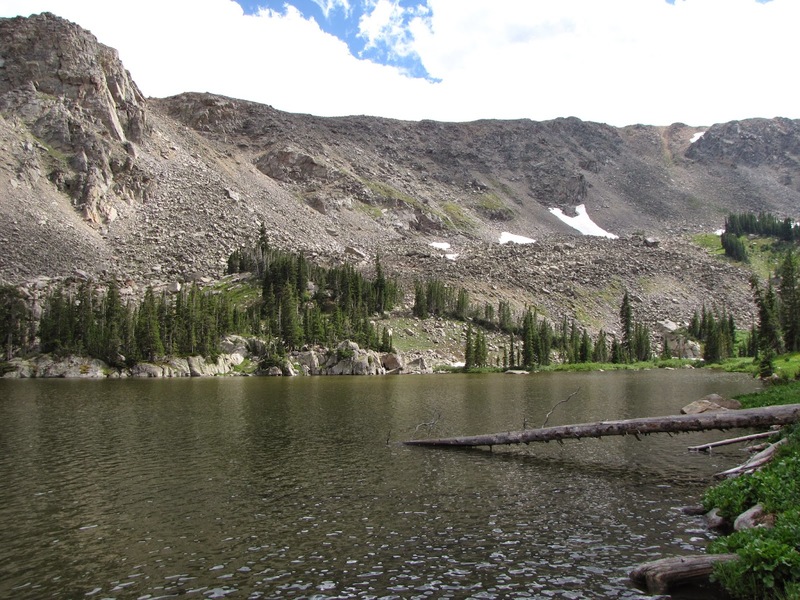 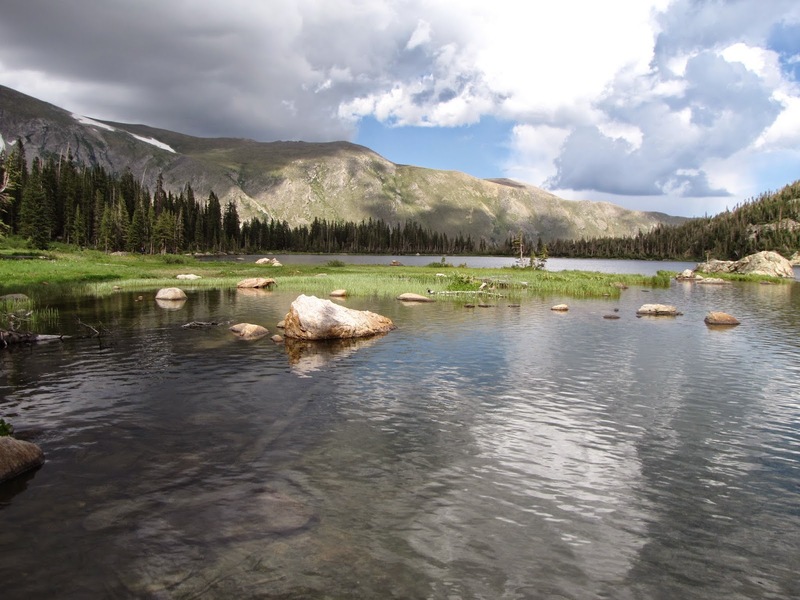 Diamond Lake is a beautiful alpine lake with views of peaks in all directions. 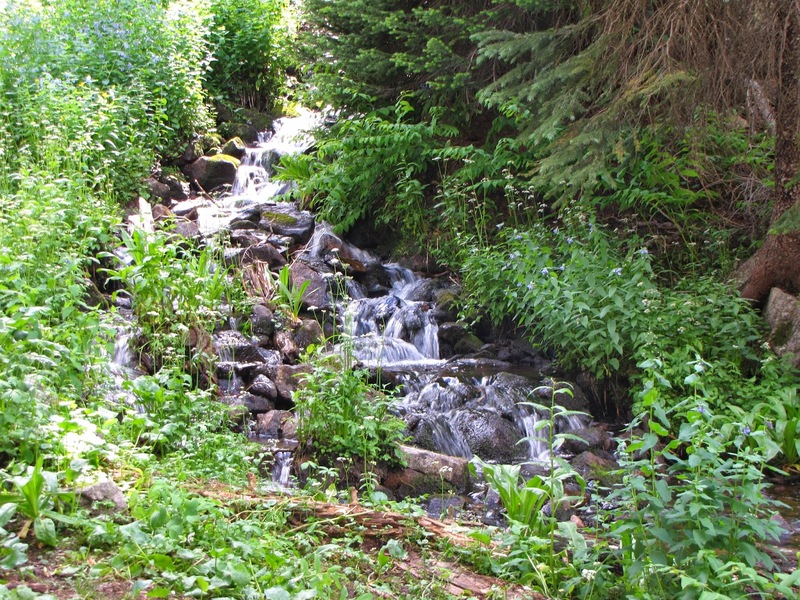 Relax and enjoy the wilderness until you are ready to head back the way you came. 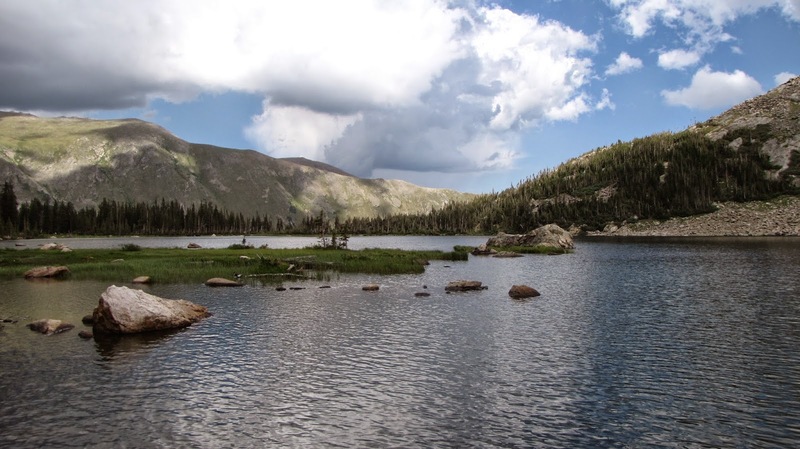 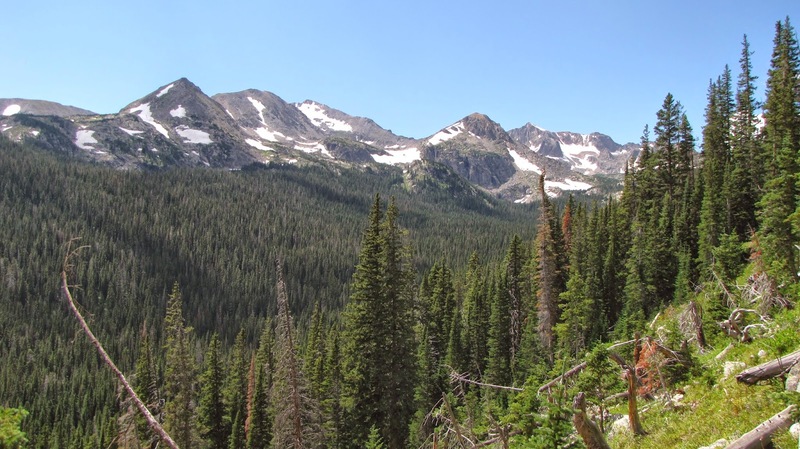 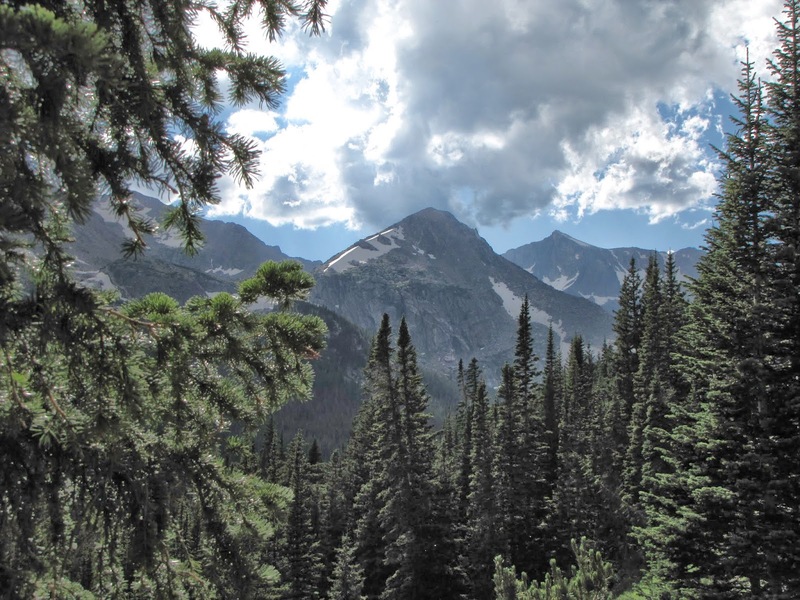 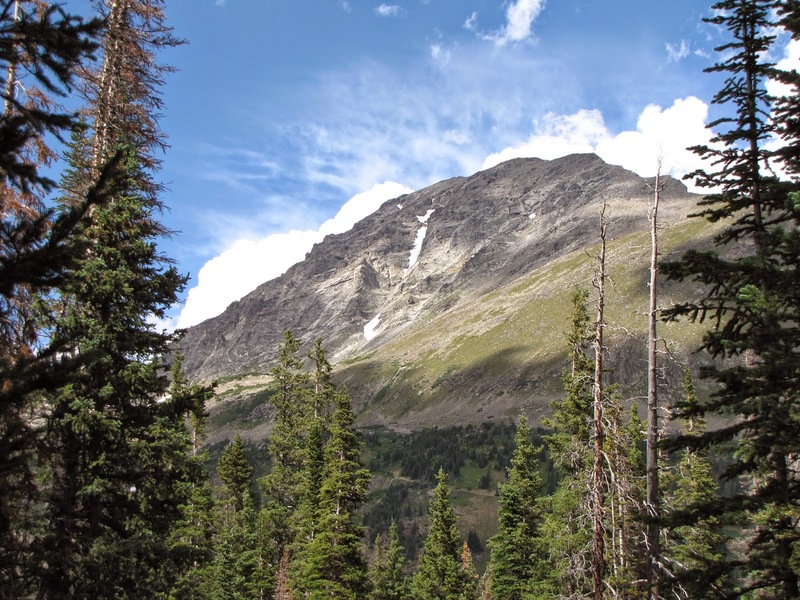 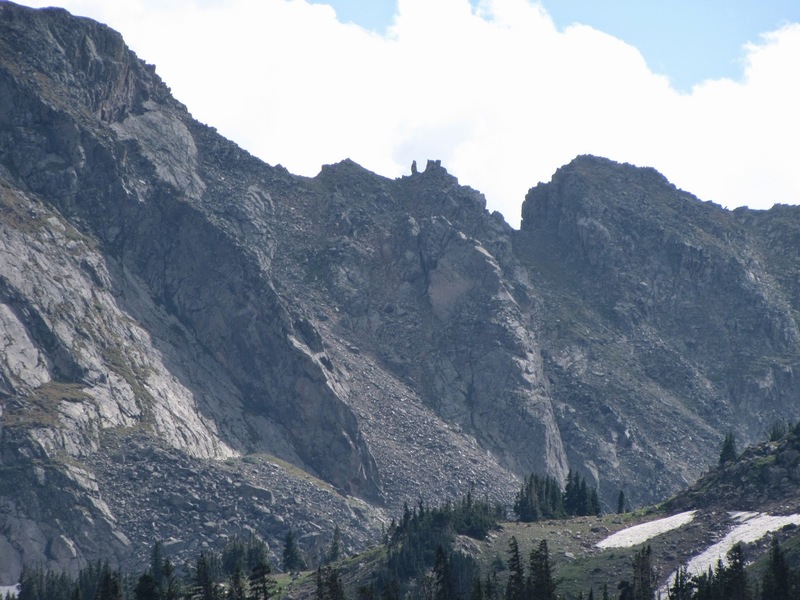 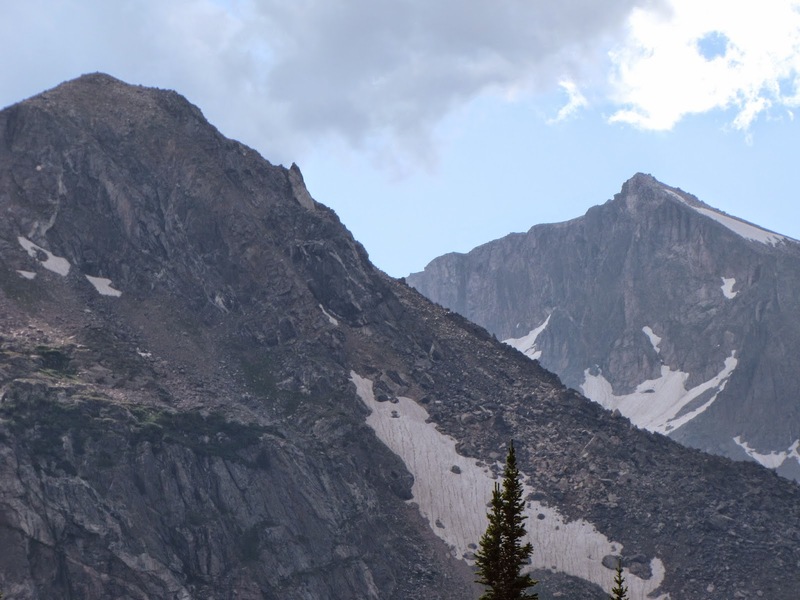 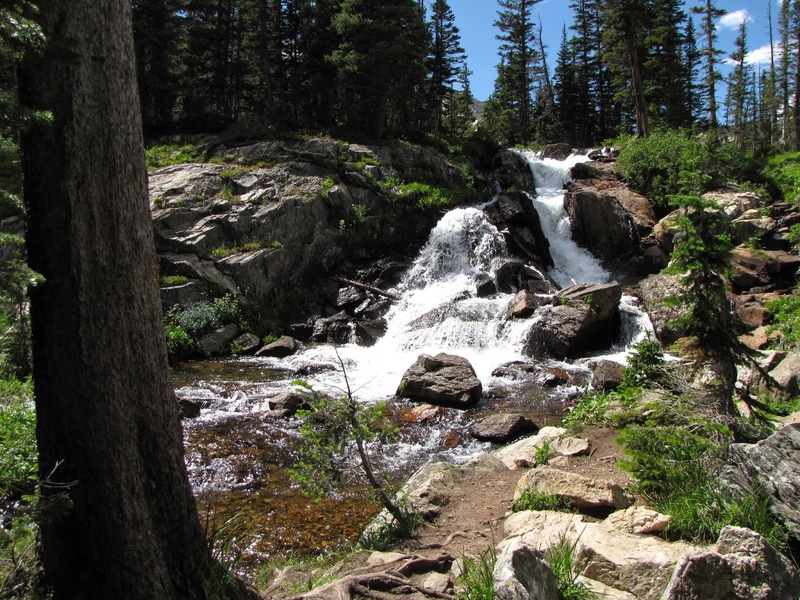 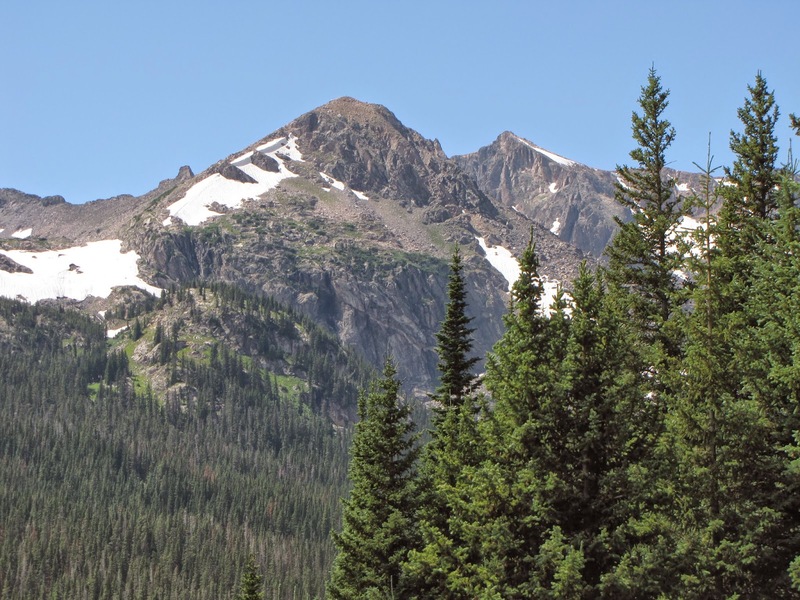 This is one of those hikes that will make you wish you could just keep on hiking deeper into the Indian Peaks, it would make for a great start to any number of backpacking options.